Vybz Kartel is paying tribute to his mentor Bounty Killer for introducing him to the music industry. The “Do It” deejay is rightly regarded as one of the most talented Dancehall artistes of all time but the deejay recently took to Instagram to remind exactly fans where it all began for him. The incarcerated entertainer took to Instagram earlier this week sharing a video clip of the first time his mentor brought him out on a stage to perform for fans. “Well it’s safe to say that he is the only one that follows the trail and blazes it for other to come through also enuh I salute that move,” also further commented. In recent months both entertainers have been showing a lot of mutual respect for each other following years of feuding. 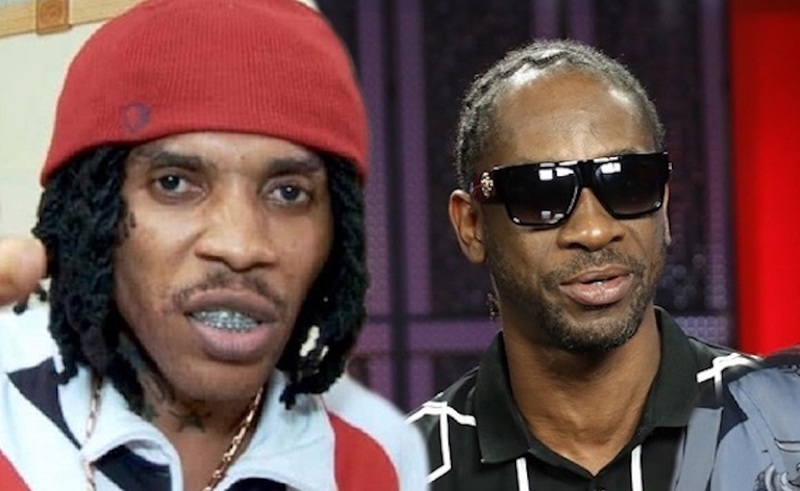 Bounty Killer infamously singled out the deejay for praise during a lengthy Instagram rant where he blasted former protege Mavado. The move is viewed a positive one by many Dancehall fans who remain hopeful their revived friendship can result in a collaboration. Bounty Killer has been credited as launching some of the biggest names in the entertainment industry, as his alliance camp was home to many superstars such as Busy Signal, Vybz Kartel, Mavado, and Wayne Marshall.